CLARE DIGITAL SIGN-maker Data Display has been bought out by Nasdaq-listed US company Daktronics. 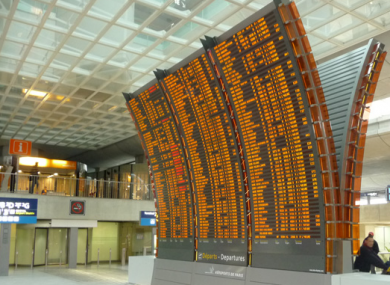 The Ennistymon company specialises in digital displays for transportation systems, counting the London Underground, the Paris Metro, the New York Transit Authority Paris airport Charles de Gaulle and Dublin Bus amongst its customers. The existing management structure at the company will be preserved, with a company spokesperson indicating that investment in the company’s production facilities by the new owner is a strong possibility as Daktronics looks to bolster its European sales presence. The 120-strong Irish workforce will remain as is, with the possibility of additional hires coming on board down the line. Daktronics chief executive Reece Kurtenbach said that the pair “complement each other well”. Data Display refused to comment on the deal’s price tag. Email “The Clare company behind London Underground and New York subway signs has been sold”. Feedback on “The Clare company behind London Underground and New York subway signs has been sold”.